Camel Lot, my very first (why do people say very first, if it’s the first, how does the word very make it any more the first) children’s book. Synopsis: Three siblings, Arty, Lance and Gwen, set off for their Mother’s forbidden flower garden to play. They dream up the grand kingdom of Camel Lot with a courageous king, a daring knight and a princess with a pink magical unicorn. But somewhere else in the garden, trouble is brewing. It’s not their orange tabby, Marlin; it’s the neighbor-boy, Dwayne. Camel Lot is a fantasy adventure for bedtime or anytime. Written to be read aloud to children of any age or read alone by children ages 8-12. Approximately 3,400 words. 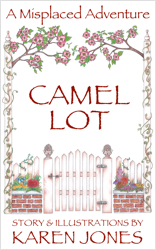 Camel Lot was inspired by a short story writing contest. In the contest, a picture was provided and the writer needed to tell a story related to that picture in 1,000 words or less. Somewhere around 2,000 words it was obvious I couldn’t submit mine so I quit writing. I didn’t finish the story. It just sat there. When I returned from LA, I couldn’t find work. Rob suggested I finish the story and maybe we could publish it. Ebooks were really taking off and there were many distributors cropping up to help you get your formatting correct and get your books out to the different sellers. So I finished the story and did some illustrations to go along with it. The cover is my favorite, closely followed by the cat, Marlin, wallowing in the flowers on his back. I hope you enjoy Artie, Lance, Gwen, and Marlin in their backyard adventure. A sequel to Camel Lot will be coming in 2012 called Nights of the Brown Table. Per request, I’ll do illustrations including the kids this time. Bermuda’s Triangle, my second children’s book. 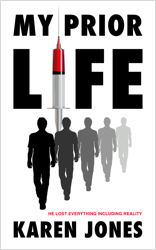 Synopsis: Screeching violins, rasping clarinets, and drums beaten to death were just the beginning. Bermuda longed to be part of the school band. She tried countless instruments, but couldn’t make any of them produce pleasing sounds. Her parents were ready to give up. Her music teacher was at her wits’ end. But, her friends had an idea. 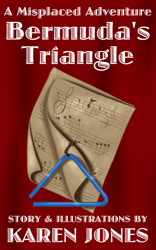 Bermuda’s Triangle is a musical adventure for bedtime or anytime. 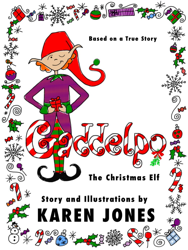 Written to be read aloud to children of any age or read alone by children ages 8-12. Approximately 2,200 words with full-color drawings. I hope you enjoy Bermuda and her quest for music. Area 50 Juan, my third children’s book. Synopsis: Juan’s goal to save the aliens on Jade Island is threatened by a military search for the downed craft. 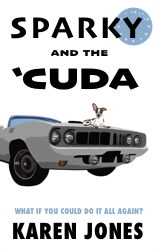 Juan and his friends; Andy, Davie, and Earl, befriend a young airman named Ziggy who wants to help. With Ziggy on their side, they rush to help the visitors return to their world before the military arrives to search Area 50. 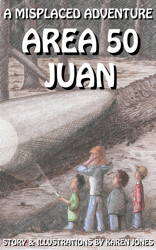 Area 50 Juan is a science fiction adventure for bedtime or anytime. Written to be read aloud to children of any age or read alone by children ages 6-12. Approximately 7,500 words with full-color, full-page illustrations. I hope you enjoy the fun and mystery that Juan and his friends get into. Look for Air Force Juan: A Misplaced Adventure coming 2012. 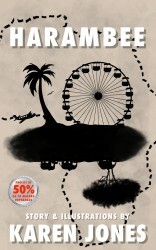 Santa Monica, my fourth children’s book in the Misplaced Adventure series. Santa Monica is a fantasy adventure for bedtime or anytime. 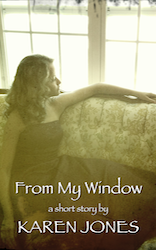 Written to be read aloud to children of any age or read alone by children ages 8-12. Approximately 9,500 words. Each of my children’s books currently has it’s own illustration style. I don’t promise that will always be the case, it just has been so far. With Santa Monica, I found inspiration in the anime and kodomo (such as Hello Kitty) artistic styles. I adapted those to suit me and thought the style was perfect for the characters. I hope you enjoy the illustrations. Synopsis: Monica dreams of playing Santa in the holiday performance presented by her local theater group. But will her theater coach, Mr. Shelley, be willing to cast a girl as Santa? What will her parents think? Will her friends ridicule her for wanting a boy’s role? Will her super talented friend, Eric, get the role just because he’s a boy? 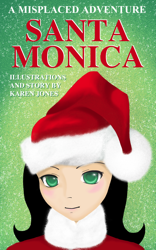 Follow Monica on her quest to play Santa Clause as she prepares for her audition, copes with her friends comments and questions, and ultimately follows her heart to be anything she wants to be.